The best way to get to know a community is by scheduling a tour. 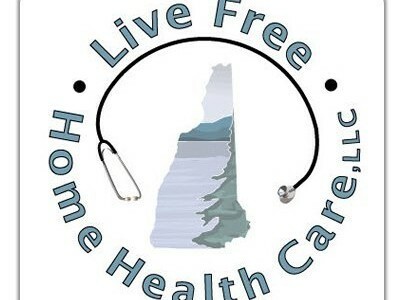 See the facilities, meet the staff and residents, and get a feel first hand what it's like to live at Live Free Home Health Care, LLC Home Care. Facing the challenges that come with the aging and frailty of a loved one can seem overwhelming. First thoughts may be that a move to a nursing home or assisted living facility is the only way to ensure safety"¦but we at Live Free Home Health Care believe that home care "“ remaining at home with assistance "“ is a very safe and much more comfortable alternative. Serving the Lakes Region and Central New Hampshire, from Concord to Campton and everywhere in between, we offer both medical home health care and non-medical elderly home care services, covering needs from full-time, round-the-clock skilled nursing to just a little assistance with daily tasks such as personal care, housekeeping, cooking, and companionship. Live Free Home Health Care also offers medical alert systems to provide extra peace of mind should an emergency arise. Family and nurse-owned and operated, Live Free Home Health Care provides care that allows older adults to age comfortably and gracefully in their own homes, with independence and a higher quality of life. Owner and Clinical Director, Jennifer Harvey RN BSN, is a Certified Dementia Practitioner who personally educates our staff of caregivers in key aspects of dementia and Alzheimer's care. Caregivers at LFHHC value continuing education and receive on-going, multi-layered training that is knowledgeable, experienced, and reliable to confidently recognize the slightest change in client behavior or needs. Unlike most other home care agencies, our staff of nurses supervises caregivers to ensure each and every client receives the highest quality of care. We provide a free initial in-home assessment and implement a plan of care unique to each of our clients.